The large amount of post-consumer polyethylene terephthalate (PET) bottles/containers and post-consumer sachet water nylon currently generated in Lagos State makes imperative the search for alternative procedures for treating, recycling or reuse of these waste materials. This is because they are not biodegradable and constitute environmental and health threat to the survival of man and other living things. The sustainable approach to municipal solid waste management in Nigeria is being considered. This research work aimed at recycling of post-consumer PET bottles/containers and post-consumer sachet water nylon to produce composite materials for engineering applications and wastes storage bag (wastes bin) respectively. Plastic waste, polyethylene terephthalate (PET) bottles/containers and sachet water nylon coming from the dumpsites in Lagos State in Nigeria were collected, separated, washed, recycled, extruded and characterized. The products obtained were subjected to tests to evaluate their mechanical properties using Introns Tester Model 1122. The results showed that the PET/LDPE blend mechanical properties depend on the processing conditions and apparatus. High processing temperature and high residence times strongly enhance the degradation processes and reduce the mechanical properties, in particular the elongation at break. However, by introducing additives, such as antioxidants, inert fillers and impact modifiers, these mechanical properties are improved and approached those products made from of virgin polyethylene terephthalate. For the recycled sachet water nylon, the results also showed that there was mechanical properties deficiency in the use of recycled resins and that this deficiency could be minimized through adequate blending with virgin resins. In general, provided that optimal reprocessing conditions with suitable additives, the mechanical properties of the recycled resins are near to those of virgin resins. This study could be able to address the burden of disposed some of these plastic bottle /nylon litter and block the drainages. Also help in area of employment because many idle hands can engage in picking the waste for recycle. PET/LDPE blend, Virgin LDPE/recycled materials, Mechanical properties, Degradation, Processing conditions, Apparatus and additives. China Plastics Processing Industry Association (CPPIA), "Chinese plastics industry goes from strength to strength," Plastics, Additives and Compounding, vol. 3, pp. 30-32, 2007. Y. Rogaume, F. Jabouille, M. Auzanneau, and J. C. Goudeau, in Proceedingsof the 5th International Conference on Technologies and Combustion for a Clean Environment, Lisbon, Portugal, 1999, pp. 345–351. T. Rand, J. Haukohl, and U. Marxen, "Municipal solid waste incineration: Requirements for a successful project, World Bank Technical Paper No. WTP462," 2000. 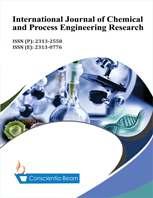 L. Yassin, P. Lettierim, S. J. R. Simons, and A. Germana, "Energy recovery fromthermal processing of waste: A review," in Engineering Sustainability (Proc ICE) 158(ES2), 2005, pp. 97–103. A. Tukker, H. De Groot, L. Simons, and S. Wiegersma, "Chemical recycling of plastic waste: PVC and other resins," European Commission, DG III, Final Report,STB-99-55 Final. Delft, the Netherlands, 1999. M. L. Mastellone, "Thermal treatments of plastic wastes by means of fluidizedbed reactors," Ph.D. Thesis, Department of Chemical Engineering, Second University of Naples, Italy, 1999. EA, "UK environment agency," Technical Report No. 223-4598, Wastefacts, 2008. S. M. Al-Salem, "Influence of natural and accelerated weathering on various formulations of linear low density polyethylene (LLDPE) films," Materials and Design, vol. 30, pp. 1729–1736, 2009b. J. Ahrenfeldt, "Characterization of biomass producer gas as fuel for stationary gas engines in combined heat and power production," Ph.D. Thesis, Department of Chemical Engineering, Technical University of Denmark, Lyngby, Denemark, 2007.